The following book excerpts are from writings that focus on our relationship with ourselves and others. Caring for the self allows us to care for others; compassion extended to others helps us to extend that same compassion to ourselves. 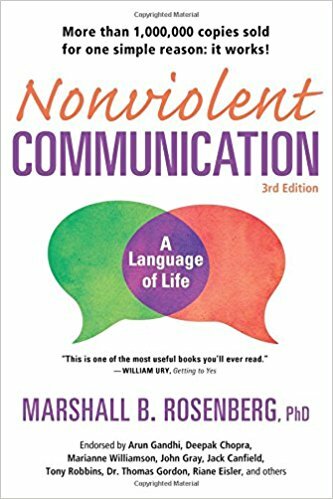 Marshall B. Rosenberg, Ph.D., is a clinical psychologist, internationally known peacemaker, and founder of the Center for Nonviolent Communication. The Center evolved from Dr. Rosenberg's quest to find a way to teach much-needed peacemaking skills across four continents and in war-torn countries. He developed a method of conflict-resolving communication called "nonviolent communication" or NVC. His simple process facilitates the flow of communication necessary to resolve differences compassionately. 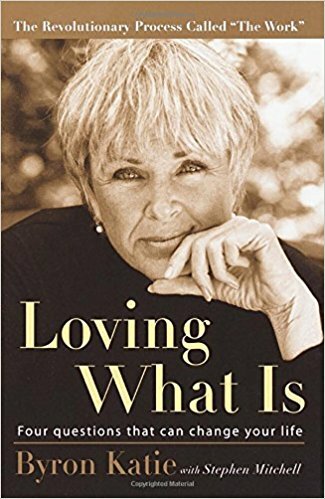 Byron Katie experienced what she calls "waking up to reality" in 1986, and since then she has introduced The Work to hundreds of thousands of people throughout the world. The Work is simply four questions that, when applied to a specific problem, enable you to see what is troubling you in an entirely different light. In the midst of a normal life, Katie became increasingly depressed, and over a ten-year period sank further into rage, despair, and thoughts of suicide. Then one morning, she woke up in a state of absolute joy, filled with the realization of how her own suffering had ended. Caroline Myss, Ph.D., is an international speaker on spirituality and personal power. She is widely recognized for her work in teaching intuitive diagnosis and is a pioneer in the field of energy medicine. 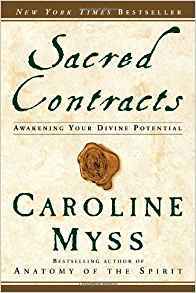 In Sacred Contracts, she explains how we can identify our particular spiritual energies, or archetypes – the gatekeepers of our higher purpose – and use them to help find out what we are here on earth to learn. In coming to know our archetypal companions, we also begin to see how to live our lives in ways that lead us to fulfill our greatest – in fact, our divine – potential. Charlotte Kasl, Ph.D., is a counselor, Certified Addiction Specialist, and Reiki Master Healer who has written extensively about relationships. She has worked as a psychotherapist for over 30 years. Her books If the Buddha Dated and If the Buddha Married explore relationships as a part of a spiritual path. 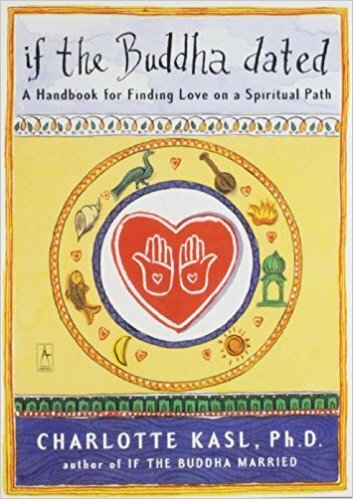 Drawing on Buddhism as well as her experience with Quaker and Sufi communities, Charlotte describes how intimate relationships can help us to open our hearts to greater experiences of love and inner peace. Barbara Sher is a business owner, career counselor, and the author of five books on goal achievement and teamwork. She has presented her seminars and workshops on teambuilding, goal-achievement and negotiation skills. 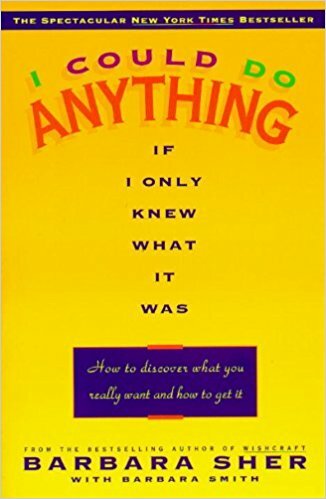 In I Could Do Anything If I Only Knew What It Was, Barbara Sher explores the idea that the reason we get stuck in our lives is that we simply don't know what we want. However, says Ms. Sher, there are plenty of clues – we need simply take a good look at our lives and history, and then begin to move forward. Mira Kirshenbaum is an individual and family psychotherapist in private practice and the clinical director of the Chestnut Hill Institute in Massachusetts. 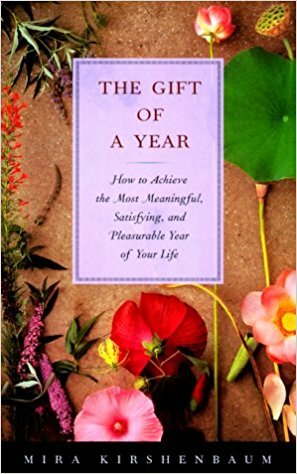 In The Gift of a Year, she gives women guidance on finding support and feeling supported – and creating the necessary time to fit their dreams into the lives they already lead. The Gift of a Year is filled with real-life anecdotes from women who have used Mira Kirshenbaum's program successfully. They talk about what they did with their year, why and how they did it, and what they got out of it.